Her Majesty Queen Mathilde of Belgium Presides Over an Award Ceremony. 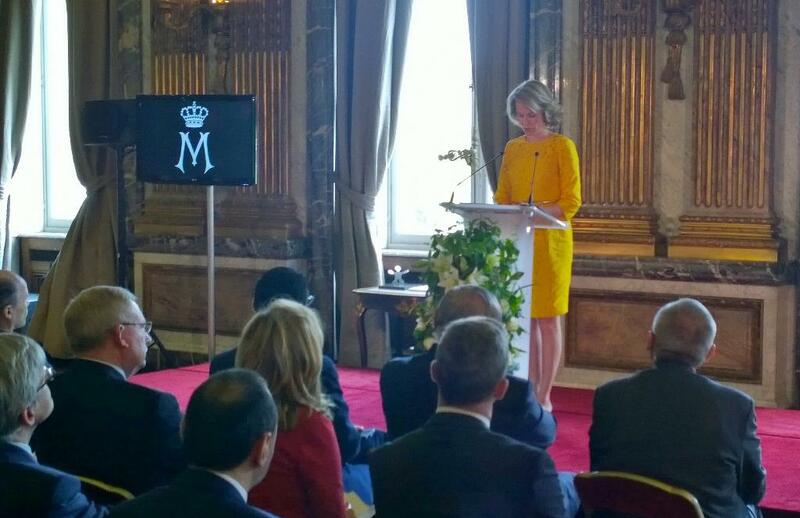 On Thursday, May 7, 2015, Her Majesty Queen Mathilde of Belgium presided over the 2015 Prix Reine Mathilde, a prize which is awarded annually to an organization which deals with vulnerable young people in society, at the Palais Royal in Brussels. This year the award went to Kruiskenshoeve from East Flanders. Previous The Princely Twins of Monaco will be Baptized This Sunday. Next (VIDEOS) TMs King Felipe VI and Queen Letizia of Spain Present Awards in Madrid.